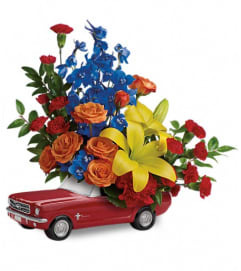 This Father's Day, get Dad's motor running with this collectible gift! 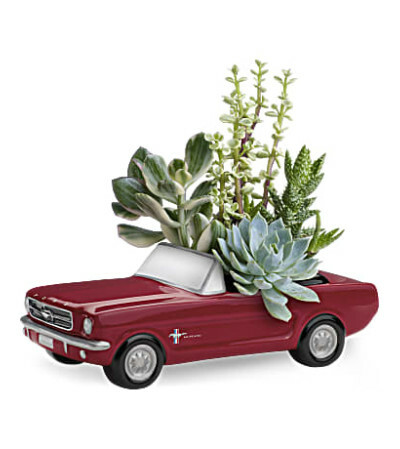 In the perfect shade of poppy red, this classic '65 Ford Mustang presents an array of living succulent plants. 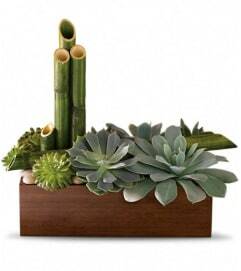 What a beautiful, fun-filled display for dad's desk or bedroom!